Arielle has been working as an Assistant for Elaine and Scott Manley since May of 2009. Prior to that, she worked as a Recruiter and an Administrative Associate since late 2006. 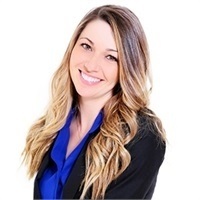 She now specializes in the setup and maintenance of clients moving onto the Brokerage platform. Her responsibilities include planning and hosting seminars and client appreciation events. Arielle graduated from San Diego State University with a BA in Journalism and worked at NBC Bay Area for several years.